Carpet cleaning professionals set their rates in a somewhat subjective manner. One factor, often overlooked by companies in the carpet-cleaning sector, is the fact that all locations are not created equal. A calculation for rates based on a formula does not account for real-world variables. These are things such as access difficulties, obstacles, disruptions, access to the water source, and more. In residential cleaning it is common practice to do a walk-through and give the customer a free estimate. This brief tour of the premises greatly informs the cleaner. It tells them how to adjust their calculations so they can set their rate for that particular job. Variables such as the amount of clutter or the presence of multiple pets in the household will factor into their rate. In the carpet-cleaning business it is more commonplace just to give a quote based on square footage. What about the condition of the carpet as well as the customers' expectations? These can only be revealed by doing a walk-through. Is it a one-time or a repeat job? What physical obstacles exist, if any? What is the size of the job? What is the condition of the carpet? You simply come up with a price per square foot. In most cases this figure will cover your cost, plus your desired profit. Give a range, not one set amount. The downside is the 'most cases' part – and often, it will not work out optimally. If you are going to go with a square-foot rate, then the price should be factored by the worst case scenario, not the average. You may find, however, that you are pricing yourself too high out of the normal range. This method is always in need of tweaking, and virtually nobody gets it right the first time. Here is a list of common rates if you are going to calculate by the square foot. Obviously the shelf life on these rates goes quickly out-of-date and not specific to your situation, but you can use it to get an idea of the specific criteria that need to be included in calculating a rate or price for carpet cleaning services. Due to the variables already mentioned, an hourly rate is just too non-defined to be any good. But at the end of the process, you do want to use the 'by the hour' formula, to check your other strategies and determine whether your hourly profit is being met. Calculate 'by the hour,' adding profit variations on top of the costs to do the job. Following 'by the square foot,' this is probably the simplest and most common way of figuring out rates. Computer programs can be purchased that will allow you to set the criteria, then input the specifics of the job. The software then runs the formulas and calculates an output, or answer, which you can use to narrow in on the price. The program can be a great time-saver, and is likely to do math more accurately than you can. There is a range of quality in these software programs. They can be quite sophisticated, rather inadequate, or anywhere between. Make a detailed list of all variables common to all jobs and approximate the time each task and its variable will take, roughly. Then add up the total, and add 20% for unknowns. Next, multiply the time frame by the hourly rate you want. That is your price. Be wary of the (cut-rate, advertised price) C.R.A.P. trap. "These new cut-throat-priced carpet cleaners either quickly go broke or rapidly realize that just matching their old job salary isn’t going to keep them in business and leave enough for a good living. But now they are trapped in this “Cut Rate Advertised Price,” or C.R.A.P., model." If you want to make a good living in the carpet cleaning service sector you have to offer elite services of exceptional quality, and find the appropriate clients to support that goal. Are there additional profit opportunities? Are you missing the obvious way to add profit to your jobs? Ask yourself at every single location what more that particular client may need to have done, and then find a way to offer it. If they don't hire you, they will hire someone else, so do not just sleep through these opportunities. For example: can you offer disinfection, or sanitization? What about repairs, or spot removal. Can you help with odor removal, furniture moving, topical treatments, inspection and-or consulting services? Mini-blind cleaning; ceiling cleaning; upholstery cleaning, and window cleaning. Sometimes the client only needs to be asked a question or two regarding the additional job before they ask you to take care of it. What could be easier as far as added-value to your workday? Far too many service pros simply factor on the fly. It is vitally important to finely tune your business finances with a daily resolution. Turn a good profit and continually improve your service by being conscientious. Be extremely explicit about the reality. Profit is what comes after expenses. 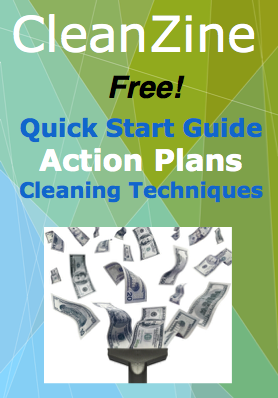 This is just an introductory article pointing out how to set your cleaning service rates. It is always wise to find a mentor to guide you on your business journey.